(MissionNewswire) After a year of planning and construction, Salesian missionaries in partnership with Aurora Williams, the Minister of Mining Activities in Chile, have recently inaugurated the Salesian Industrial Technical College in Calama, a city in the Atacama Desert and capital of El Loa Province in northern Chile. The college is part of the broader Salesian network of educational programs in the country and was built in the Gustavo Lepaige district, one of the most vulnerable of the city. 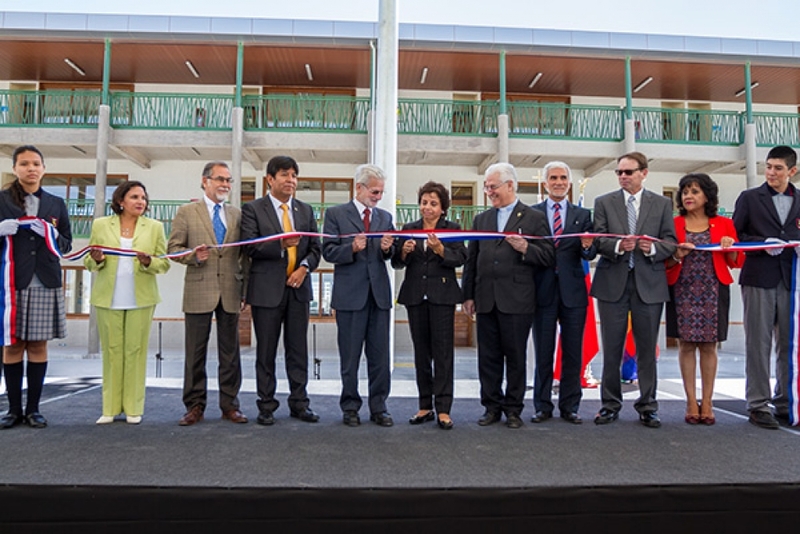 The new college campus was built thanks to an alliance between the Antofagasta Industrial Association and the Salesian Province and was financed by the CODELCO and El Abra companies in Chile. The college started with 490 students and offers technical and vocational education for the industrial mining sector providing specific courses in mining, industrial mechanics and industrial electricity. Education is free for its students and classes are offered in both English and Spanish. Salesian schools, social development services and workforce development programs throughout Chile are helping to break the cycle of poverty while giving many hope for a more positive and productive future. According to the World Bank, although the economy in Chile is one of the more stable and prosperous in Latin America, a little more than 5 percent of the population live on just $2 a day. The country suffers from high economic inequality which is particularly evident in access to educational opportunities.